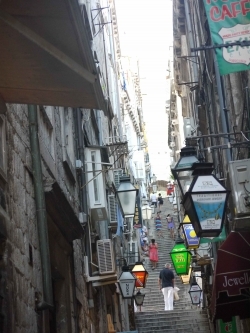 Dubrovnik is a city on the Adriatic Sea coast of Croatia. It is considered one of the most prominent tourist destinations on the Adriatic and is known as the Pearl of the Adriatic. Oncyou visit and experience the beauty of the coastline, the freshness of the sea and the genuine hospitality of the locals you will understand why and will want to return time and time again. 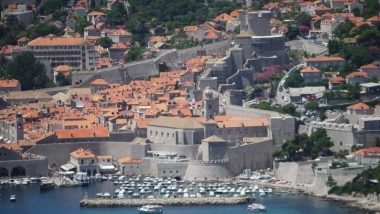 The amazing Old Town became a UNESCO world heritage site in 1979. With the well-preserved city walls along which you can walk, also hosts world-renowned music, theatre and dance performances during the summer months. You can spend hours and days meandering around the streets inside the walls and find endless local treasures not to mention as well known name brands. 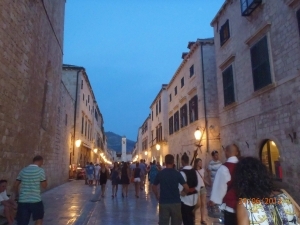 Take the time to site and enjoy a cool beverage and the amazing scenery of the Adriatic or people watch in the town square. The people are incredibly friendly, helpful and knowledgeable, so if you have the chance, take a moment to chat with the shop and restaurant owners. There are many amazing hotels to stay with in and around Dubrovnik town, but if you are looking for an amazing hotel on the sea where you look out to dazzling seas and endless blue skies you can’t beat the Radisson Blu Resort & Spa Dubrovnik Sun Gardens. It is located a short taxi, bus or boat ride from the town center. With 3 swimming pools, a dedicated children’s pool, a sports center with squash, badminton, tennis, beach volleyball and football field, it will be hard to find time to relax in the amazing Spa. Although the Kids club may help you find some extra time if you are travelling with children. There are numerous restaurants to cater for all tastes. If you are travelling with a family there is the option to stay in the self- catering residences. For an extra special treat, stay in the amazing Presidential Suite. No matter where you stay, one thing is for sure, you won’t want to leave and you will definitely return!